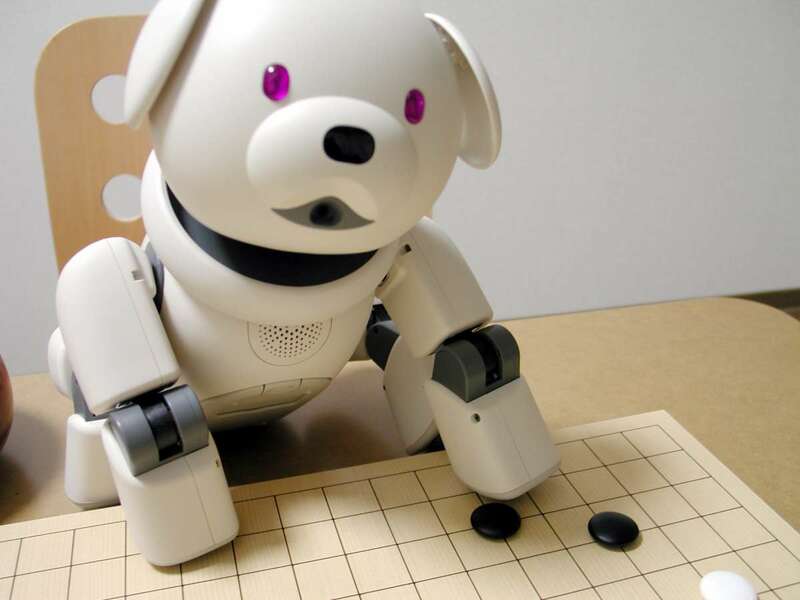 A photo of the robot dog Aibo playing go illustrates In Japan, A Funeral For Robot Dogs, a February 28 Popular Science report. “Robot companions are big in Japan, where they can return hugs, gently smack snorers in the face, perform in plays, and greet Presidents.” And, apparently, play go as well. - thanks to Jon Stewart-Taylor for passing this along. The EJ has several volunteer editor positions open for go players who want to be part of the team producing the largest English-language publication in the world; email journal@usgo.org if interested. Ida loses sole lead in Honinbo League: Ida Atsushi 8P (right) seemed to be heading inexorably for a rematch with Iyama Yuta Honinbo, but he finally stumbled in the fifth round of the 70th Honinbo League. 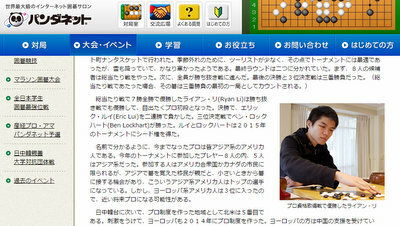 In a game played on February 19, Kono Rin 9P (W) beat him by resignation. Ida’s loss means that Yamashita Keigo 9P pulls even with him on 4-1; we might see another play-off between these two. Cho U 9P and Kono, both on 3-2, are also in contention. In another game played on the same day, Yo Seiki 7P picked up his second win when he beat Ryu Shikun 9P; playing white, he forced a resignation. Yo improves to 2-3 and has an outside chance of keeping his league place. Ryu and Takao Shinji 9P, both on 1-4, have lost their places. Yamashita keeps his Kisei challenge alive: Yamashita Keigo (left) finally picked up his first win in the 39th Kisei title match and survived his first kadoban (a game that can lose a series). The fourth game was held at the Zagyoso. The Zagyoso (which literally means ‘fishing-while-seated-villa’) was the retirement villa of a famous statesman, Saionji Kinmochi, who led the Japanese delegation at the Versailles peace conference; it was moved from its original location in Shizuoka to Meiji Village, a theme park in Inuyama City in Aichi Prefecture that recreates traditional Japanese buildings. The game was played on February 19 and 20. Iyama (White) took the lead in the middle game when Yamashita made a misreading about a life-and-death position. His group didn’t die, but he had to add an extra stone and so fell behind. However, Iyama slipped up with an oversight of his own when he tried to wrap up the game. Yamashita played a brilliant atekomi tesuji and pulled off an upset. He won by 2.5 points after 224 moves. Yamashita will be greatly encouraged by this win, but, on 1-3, he is still in a tough position. The fifth game, to be played on February 25 and 26, will show whether he has really changed the flow of the match. To 2-dan: Komatsu Daiki (30 wins). Komatsu is the son of Komatsu Hideki 9P and Komatsu Hideko 4P. The promotion took effect on the 17th. Register by February 28 and you’ll save 5000 yen (about $40) on Maeda Ryo 6P’s 3-week intensive go camp in Osaka, which runs June 28 through July 18. Osaka Go Camp activities include intensive training by Kansai Kiin professionals, the opportunity to play go at the Kiin with professionals, play against top amateurs and former inseis, as well as sightseeing, cultural trips and making new go friends. The camp is sponsored by Kansai Kiin and the Osaka University of Commerce. Email Osaka.go.2015@gmail.com for more info or to reserve your space. Iyama Extends Lead in Kisei Title Match: The second game of the 39th Kisei title match was held at the Hachinohe Park Hotel in Hachinohe City, Aomori Prefecture, on January 29 and 30. 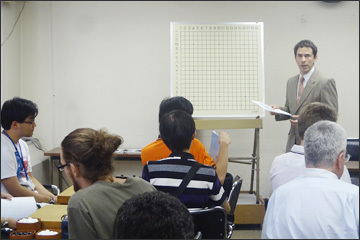 Playing white, Iyama Yuta (right) won by resignation after 228 moves. This gives him a 2-0 lead over the challenger, Yamashita Keigo 9P. The third game, scheduled for February 5 and 6, is close to being a must-win affair for Yamashita if he is going to stop Iyama from winning the title for the third year in a row. The game got off to an interesting start, with Yamashita coming up with a new variation in an old joseki. Iyama showed his flexibility, however, by playing a bad-shape move that actually worked well for him. Early in the middle game, Iyama went on the offensive, and Yamashita found himself forced into playing a territorial strategy that didn’t suit his style. Having fallen behind a little, he did his best to catch up by attacking aggressively, but Iyama countered with the strongest moves and finally took a decisive lead. When Yamashita resigned, Iyama had a lead on the board. Xie Defends Women’s Kisei Title: The second game of the 18th DoCoMo Cup Women Kisei title match was held in the Ryusei Studio (in the basement of the Nihon Ki-in in Ichigaya, Tokyo) on January 29. This was a do-or-die game for the challenger, as this title is a best-of-three, but she was outfought by the defending champion, Xie Yimin (left). After 273 moves, Xie, taking black, won by 5.5 points. She won this title for the third year in a row and extended her overall tally to 19, eight ahead of the next woman player (Aoki Kikuyo 8P, with 11). Iyama Tops Prize-Money List for 2014: Even though he lost two titles last year, Iyama Yuta still earned enough in winnings to top the prize-money list for the fourth year in a row. It was the third year in a row that he topped 100 million yen. Only three other players have reached this mark: Cho Chikun (five times), Cho U (four times) and Kobayashi Koichi (three times). The top ten for 2014 are given below. Fujisawa Rina, aged 16, is probably the youngest player ever to make the list. Xie Yimin made the best ten for the seventh year in a row. Annual Promotions: Besides the promotions through the cumulative-win system, a number of promotions are made every year based on prize-money winnings in the top seven titles: the top 6-dan and the top two in the ranks underneath are promoted one rank. The following promotions based on 2014 winnings are dated to January 1. Pandanet has begun posting E-Journal articles on their site, translated into Japanese. The first one is the EJ’s recent report on the AGA pro tournament. “We’re tremendously pleased that EJ reporting is now available in Japanese,” said E-Journal Managing Editor Chris Garlock. Pandanet plans to post a translated EJ article each week. Xie Makes Good Start in Women’s Kisei Defense: The first game of the 18th DoCoMo Cup Women’s Kisei title match, a best-of-three, was played at the Hotel Sunlife Garden in Hiratsuka City, Kanagawa Prefecture, on January 22. Konishi Kazuko 8P (right) of the Kansai Ki-in is making her first appearance in a title match (she has reached the finals of three knock-out titles but lost each time). Xie has held this title for four of the the last five years. In the nigiri to decide colors, Xie drew white. Konishi played positively in the opening and seized the initiative, but Xie managed to set up the kind of confused fight in which she excels. Konishi failed to find the best move in the crucial middle-game fight, and this gave Xie a chance to upset her lead. Konishi resigned after 136 moves. The second game will be played on January 29. It’s a must-win game for Konishi if she is to take the match to a deciding game on February 2. Honinbo League Update: Two games were played in the 70th Honinbo League on January 22. Yamashita Keigo 9P (B) beat Takao Shinji 9P by resignation and Kono Rin 9P (W) beat Yo Seiki 7P, also by resignation. Yamashita goes to 3-1, keeping him in second place behind Ida Atsushi 8P (4-0). Kono evened his score to 2-2, and both Takao and Yo, on 1-3, will now have to focus on keeping their league places. Judan challenger: Kobayashi Satoru or Ida: The second semifinal of the 53rd Judan tournament was held in Nagoya on January 22. It was contested by two of the leading young players at the Central Japan branch of the Nihon Ki-in, Ida Atsushi 8P and Shida Tatsuya 7P (right). 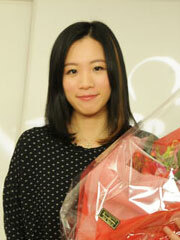 Ida was the top new star of last year, winning the Honinbo League on debut. Although he lost the title match to Iyama Yuta, he seems to be on course to challenge again. Shida is older (24 to Ida’s 20) and was the top young player in Nagoya until Ida emerged. Shida won the Hiroshima Aluminium Cup in his second year as a pro (2007) and came second in the Agon Kiriyama Cup in 2013. Shida had won their two previous encounters, but in the last year Ida has gotten a lot stronger. Taking black in this game, he forced a resignation, so he will meet Kobayashi Satoru in the play-off to decide the challenger to Takao Shinji. 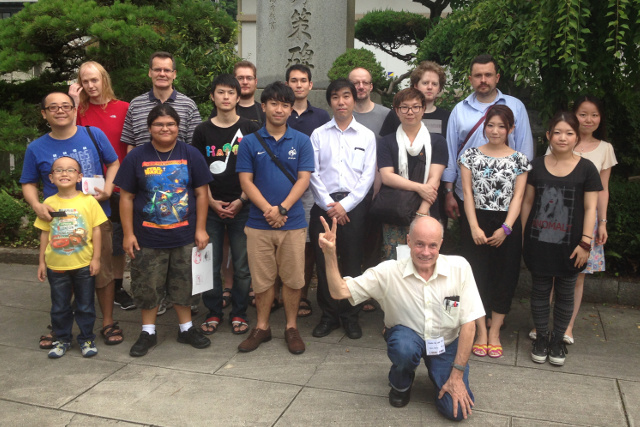 The 2015 Osaka Go Camp is set for June 28 – July 18, supported by the Kansai Kiin and the Osaka University of Commerce. The camp offers intensive training by Kansai-Kiin pros, the opportunity to play go inside the Kiin with pros, play against top amateur players, former inseis, sightseeing to major historical cities like Kyoto and Nara. A discount of 5.000 JPY is available for students who pay the deposit before February 28. Email osaka.go.2015@gmail.com for more info or reservations. Kisei Title Match Starts with Half-point Win for Iyama: The first game of the 39th Kisei title match was played at the Westin Hotel Osaka in Osaka City on January 15 and 16. 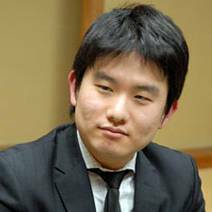 The game was a tense contest, with Yamashita Keigo 9P, the challenger for the second year running, launching a severe attack on a weak black group. Iyama countered with his usual aggressive play, but this group remained unsettled for quite a while, as the fight spread all over the board. Yamashita took the lead when he captured four black stones in the centre, so Iyama countered with a do-or-die attack on a white group that led to a ko and a large trade. At the time, Iyama thought that the game gave him the lead, but later conceded that this was not so. He did manage to take a narrow lead in the endgame contest that followed. After 282 moves, Black wonby half a point. After the game, Iyama commented that ‘ending up a half point ahead was justluck.’ If this game is any indication, it looks like being a very close-fought series. The second game is scheduled for January 29 and 30. Ida Keeps Sole Lead in Honinbo League: Ida Atsushi 8P’s chances of a return match with Iyama Honinbo are looking better and better. In the second game in the fourth round, played on January 15, Ida (W) beat Ryu Shikun 9P by resignation. That improved his record to 4-0; his closest rival is Yamashita Keigo on 2-1. Every other player has at least two losses. Yamashita has already lost to Ida in the league, so he will have to rely on other players to help him catch up. Takao and Ko Share Lead in Meijin League: Two games in the 40th Meijin League were played on January 15. Ko Iso 8P (W) beat Cho U 9P by resignation. On 2-0, Ko shares the lead with Takao Shinji 9P, the only other undefeated player. In the other game, league newcomer Kanazawa Makoto 7P (B) beat So Yokoku 9P by half a point to pick up his first win. Kobayashi Satoru Reaches Judan Play-Off: In the first semifinal of the 53rd Judan tournament, Kobayashi Satoru 9P, who had eliminated Iyama Yuta in the previous round, beat Yo Seiki 7P (B) by resignation. Ida Atsushi meets Shida Tatsuya 7P in the other semifinal, which will be played on January 22. Chunlan Cup Semifinals: In our last report, we gave the results in the quarterfinals of the 10th Chunlan Cup. The semifinals were held two days later, on Tuesday 27th. Zhou Ruiyang 9P (China) (W) beat Chen Yaoye 9P (China) by resig. and Gu Li 9P (W) beat Kim Ji-seok 9P [“Je-seok” in my previous report was a mistake] by resig. That gives an all-Chinese final. It’s good to see that Gu Li (right) seems to have recovered from his loss in the 10-game match with Lee Se-dol. 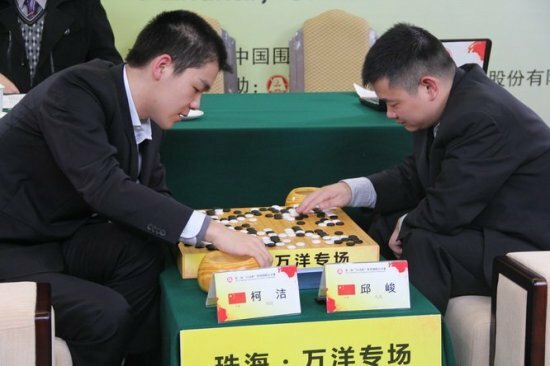 Chen Yaoye Wins Siyuan Cup World Mingren Championship: The first major go event of the new year was the 4th Siyuan Cup World Mingren (Meijin) Championship, held in the city of Xi’an in Shaansi Province in China from January 5 to 8. Xi-an is the city that was known as Changan when it was the capital of China in the early Han and Tang dynasties. This tournament pits the holders of the Meijin titles in Japan, Korea, and China against each other in an irregular knock-out. The players draw lots to see who plays in the first round; the winner of that game goes to the final, while the loser then plays the third player; the winner of that game goes to the final. Iyama Yuta of Japan was eliminated in the first round in the 1st and 2nd Cups, but did better this time. In the first round, playing white, he beat Pak Yeong-hun 9P of Korea by resig. after 137 moves. Pak (B) then lost to Chen Yaoye 9P of China in a marathon game lasting 306 moves. Pak calculated that he was losing by half a point, so he played a do-or-die move on move 196; that prolonged the game but widened his losing margin, so he resigned. In the final, Iyama, who had white, missed a number of chances to wrap up a narrow win. In the end, his lack of familiarity with the Chinese rules let Chen stage an upset by half a point. Iyama played an endgame move that was correct under the Japanese rules but not the best under the Chinese rules, in which the dame points are important. Suzuki to Challenge for Women’s Meijin: All the games in the final round of the 27th Women’s Meijin League were held on January 8 at the Nihon Ki-in in Tokyo. The result was that three players ended up on 4-2, but there is no play-off in this league: the top-ranked player takes precedence. This was Suzuki Ayumi 6P (right), ranked number three; actually she lost her last game, but still topped Aoki Kikuo 8P (league newcomer) and Mannami Nao 3P (also a league newcomer), the other players on 4-2. 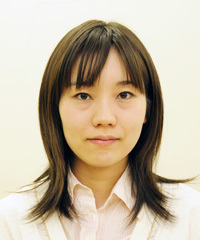 Suzuki will make her first challenge for the Women’s Meijin title, which Xie Yimin has held for seven years in a row. It will be Suzuki’s first title match for seven years. The results: Chinen Kaori 4P (W) beat Suzuki Ayumi by 7.5 points; Mannami Nao (B) beat Mukai Chiaki 5P by 6.5 points; Aoki Kikuyo (W) beat Ishii Akane 2P by resig. If Mukai had won her game, she would have been the challenger. Final placings in the league are: Suzuki, Aoki, Mannami, and Kato Keiko 6P (who had a bye in the last round). Mukai, Chinen, and Ishii lost their places. Meijin League: Two games were played in the 40th Meijin League on January 8. Takao Shinji Tengen (W) beat Kono Rin 9P by resig. and Yamashita Keigo 9P (W) beat Murakawa Daisuke Oza, also by resig. On 2-0, Takao provisionally leads the league; the other players mentioned above are all 1-1. Honinbo League: In the first game of the fourth round of the 70th Honinbo League, Mimura Tomoyasu 9P (W) beat Cho U 9P by resig. Mimura and Cho are both on 2-2. Ida Atsushi 8P has the lead with 3-0. He will play Ryu Shikun in this round. Here are some of the statistics for the 2014 tournament year in Japan.